Staff preparing for Dr Mahathir and his delegation's arrival at the Great Hall of the People in Beijing. 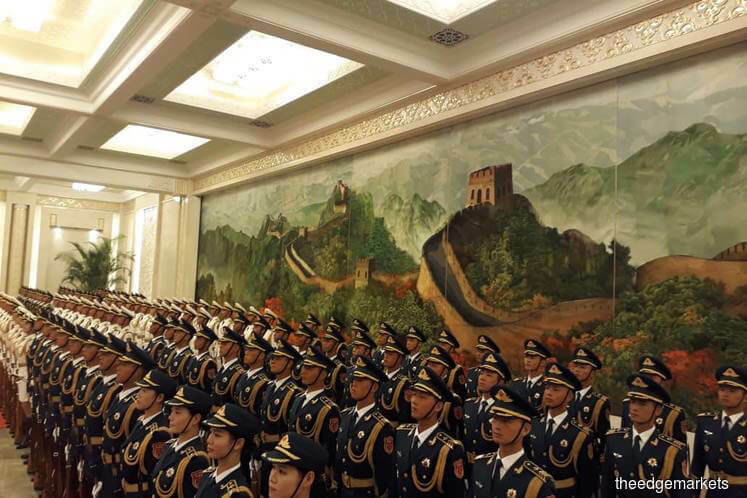 The Chinese People's Liberation Army to welcome Dr Mahathir and his delegation at the Great Hall of the People. 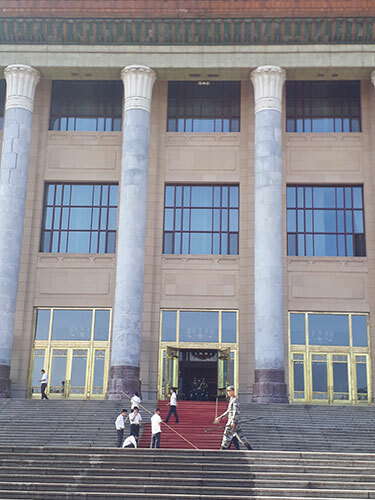 BEIJING (Aug 20): Prime Minister Tun Dr Mahathir Mohamad and his delegation are expected to meet China Premier Li Keqiang at the Great Hall of the People this morning at 10am. After a luncheon hosted by Li, Dr Mahathir will meet President Xi Jinping at the Diaoyutai Guest House at about 5:30pm today. Today is the fourth day of Dr Mahathir's official visit to China. This is Dr Mahathir's first official meeting with the two Chinese leaders as Malaysia's seventh prime minister. Both Li and Xi were appointed to their current positions after Dr Mahathir stepped down in 2003 as Malaysia's fourth prime minister then. Today's agenda is considered the highlight of the trip as the leaders from both countries are expected to discuss mega projects, namely the East Coast Rail Link (ECRL) and two pipeline projects, one each in Melaka and Sabah, that have been suspended due to inflated values. On top of bilateral trade, the trade war between China and the US is expected to be part of the official dialogues as well. All eyes are on the meetings today between Malaysia and China, the diplomatic ties of which has gotten rather tensed after Malaysia's new government suspended several mega projects, including the ECRL, in which Chinese state-owned enterprises are involved. These projects have been given stop-work notice due to inflated project costs.